I Have Set Aside The CPF LIFE Full Retirement Sum. What Happens To The Rest Of My Monies And Earned Interest If I Pass On One Year After Receiving My CPF LIFE Payouts? I have set aside the FRS amount of $171,000 for CPF LIFE at age 55. What happens to the rest of my monies and interest rate if i pass on one year after receiving my CPF LIFE payouts? Firstly, we have to note that there are three plans for CPF LIFE. They are the Full Retirement Sum (FRS), Basic Retirement Sum (BRS) and Enhanced Retirement Sum (ERS). The FRS refers to the amount that Singaporeans and Singapore Permanent Residents are required to aside aside at 55. This will go into our Retirement Account (RA), and eventually into CPF LIFE, our life annuity scheme that provides monthly payouts for as long as we live, when we turn 65. The FRS is not a static sum either. Those turning 55 in 2018 will have to set aside an FRS of $171,000. This amount will increase 3% in the each of the next two years, to keep up with inflation. There isn’t a figure for how much it will increase beyond 2020, but we should assume it will continue increasing in line with inflation figures. 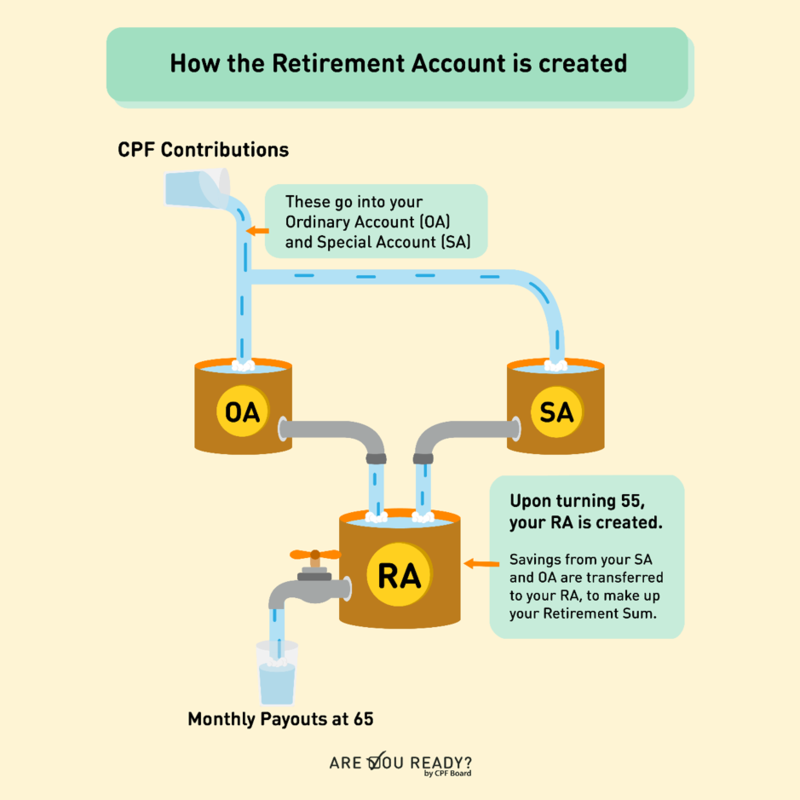 If we are 55 today, $171,000 will be put into our RA to set aside for our CPF LIFE payouts. We can opt to put in half this amount ($85,500) by pledging a property that we own to go on the Basic Retirement Scheme (BRS), or double this amount ($256,500) if we choose to opt for the Enhanced Retirement Scheme (ERS). Once on the FRS, our monies will continue to compound. According to the CPF website, here’s the interest rates we will receive. Assuming we are turn 65 today, have $266,000 in our RA and opt for the Standard Plan, we will receive a monthly payout of close to $1,350. What happens if we pass away 12 months later? Will all our CPF LIFE monies be gone? The short answer is NO. Here’s what will happen. After 12 months, we would have withdrawn close to $16,200. If we were to pass on, our beneficiaries will receive no less than the amount we initially put into the plan. This means $266,000 – $16,200 = 249,800. This means the family members of anyone who passes on early in life does not get shortchanged by CPF LIFE. If the person lives to a ripe old age of 85, he or she will continue drawing $1,350 every month, and ultimately have received $324,000. This is more than what he or she would have put in.